A 19-year-old roommate of the Chechen man killed by an FBI agent in Florida last month was ordered by an immigration judge to leave the country by July 1, raising fears that she is being swept out of the country before she can provide details to law enforcement, the Boston Globe reports. 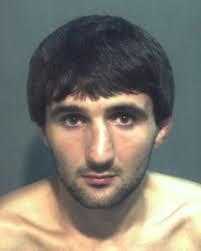 The Council on American-Islamic Relations in Florida wants to talk with Tatiana Igorevna Gruzdeva, an aspiring foreign language teacher, about what she learned about the death of Ibragim Todashev, who was investigated for his knowledge of one of the Boston bombing suspects. The FBI has declined to discuss the death of Todashev.